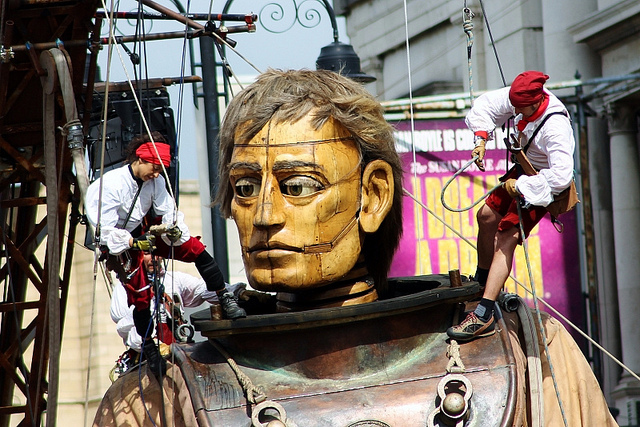 Friday 20 April saw a weekend long Sea Odyssey street theater event in Liverpool in the north of England. The occasion was inspired by a letter written by a little girl to her father. He was a steward above the ill fated RMS Titanic which was registered in Liverpool.